Millennials welcome new industry dynamics, but they have their own motivations for supporting the ascendancy of open-source, decentralized blockchains, many of which are unique to trends common for their generation. Regardless of the reasons for their backing, millennials are indisputably crucial to the survival of blockchains. Now the largest population on Earth, millennials also enjoy more collective buying power than any other group, with $200 billion in discretionary income in 2017 expected to increase significantly this year. More so than their financial support of blockchain solutions, decentralized ledger technology also speaks to millennial values. While some of their motives for loving blockchain technology are shared with peers, there are additional reasons blockchains cater to millennial tastes over any other audience. A generation that bears the burden of their predecessors’ financial mishaps, there is significant evidence showing that millennials are poorer than their parents were at the same age. With historically low wage growth and unrelenting inflation, this specific constituency is largely bereft of shelter in one of the biggest financial squalls of all time. Alongside student loan debts of almost $1.5 trillion in the United States alone, many millennials have largely given up hope of a healthy financial future. Bitcoin and other cryptocurrencies represent a small rebellion to the average millennial — a chance to go against the grain and deploy their money as they see fit. Furthermore, blockchain-based efforts toward disintermediation and reducing the role of centralized authorities is a fitting driver for millennials to embrace these concepts, especially when considering their wariness toward institutionalized corruption. 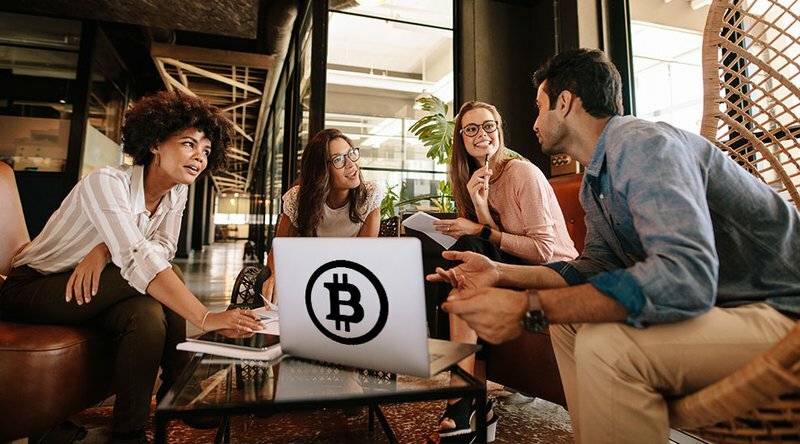 Despite the volatility of the cryptocurrency market, millennials see it as a more trustworthy alternative to traditional financial products like stocks, bonds and even insurance. There are many reasons why this young group’s preferences swing in the opposite direction of their parents’, but the likeliest is that they witnessed the 2008 financial crisis firsthand and don’t feel comfortable or in control as stakeholders of this system. Who would trust products that can be obscured and manipulated to such a worrisome extent without consequences? Better to participate in a newer market where entrenched stakeholders have less sway. The evidence is resoundingly painted by the numbers when considering more millennials are choosing not to invest at all, keeping their money in cash. In fact, according to a survey of U.S. adults conducted by Bankrate, millennials prefer real estate, cash and even gold ahead of stocks. With bitcoin viewed as digital gold and other digital currencies remaining outside the realm of mainstream finance, it is no wonder that millennials prefer asset classes which distance them from the traditional financial products pushed by Wall Street. One of the more troublesome trends in the millennial market is that millennials are more willing to spend big, even if they lack the funding to support their lifestyle. Part of the reason is greater exposure to media with a convincing materialistic message, which encourages to find fulfillment in entertainment, vacations, clothes and other luxuries instead. A general lack of money is no barrier to this lifestyle as many see the financial deck stacked against them regardless. Nevertheless, the blockchain sector has found solutions to get around this financial quagmire, letting younger generations enjoy life without having to participate in the status quo. Cool Cousin, for example, is a blockchain project which lets users hire local experts during their vacation and get a great and authentic experience. The service, and platforms like it, leverage millennial ideals to create low-cost alternatives that don’t sacrifice the experiential aspect of the venture because of financial concerns. The first generation to mature alongside the internet, millennials are a distinctly tech-savvy group. They can understand and appreciate the benefits of blockchain technology, especially its participatory aspect. For younger investors and entrepreneurs alike, the initial coin offering (ICO) model represents a more accessible, democratic way to invest in new ideas or to launch their own, without jumping through the hoops present in the status quo’s investment arena. Millennials are eager to become not just customers but also stakeholders in the applications of tomorrow and have a real knack for picking easier solutions. Blockchains empower millennials to become part of the platforms they believe in and thus create more comprehensive and better models for various technologies. Offering more than simple financial services, this trend has led to an explosion in high-tech offerings which disrupt established paradigms. In the field of computer processing, for instance, Golem provides an intriguing case study in harnessing decentralized network power for broader uses. Participants on the platform earn tokens by sharing processing power and pay tokens for the privilege of using a remote supercomputer that draws on this network’s parallel processing capabilities. Millennials have taken to this new investment model and are determined to see their generation’s crucial apps on the chain. More than having a stake in the future, millennials want to use blockchain technology to build it with their own hands. The digital ledger is a revolutionary tool for promoting pure transparency, which is a word that has little relevance to today’s politics, financial markets and business world as a whole. Millennials love the internet, but this also makes them intimately aware of its downsides, namely that it only exacerbates media bias, corporate control and political obfuscation. Many in this age group see open-source blockchain technology as an accountability tool, one that will create a better system for voting, sharing data and advertising for instance. Already, services like Horizon State and others are creating platforms that make voting and other democratic tools more accessible and transparent, further empowering younger generations. Millennials are growing up and can no longer be characterized as the youngest and most naïve generation. They’re waking up to the inequity present in the world and are hyper-aware of the status quo’s faults as well. Blockchains provide not just productive ways for them to air their grievances but also social and financial tools allowing millennials to demonstrate what the problem areas are and, at the same time, exactly how to fix them. While the future for blockchain technology is anything but clear, if millennials have their say, it will not only stick around but grow and flourish. This is a guest post by Reuben Jackson. Opinions expressed are his own and do not necessarily reflect those of BTC Media or Bitcoin Magazine. Top 9 cryptocurrency prices analyzed. Goldman Sachs funded, Circle, a cryptocurrency-focused financial-services firm, has purchased the US-based cryptocurrency exchange Poloniex for $400 million. This shows that large financial institutions are looking for opportunities to grow business in the crypto world. This move, while prices have been in a downswing, might boost positive sentiment. While a number of nations are looking at ways to regulate crypto trading, the Venezuelan government believes that cryptocurrency is an easy way out of its troubles. After the launch of its oil-backed cryptocurrency, Petro, the government has started free cryptocurrency trading courses for its citizens. Still, the success of the Petro is a big question mark for the future. Meanwhile, let’s look at the top cryptocurrencies and see if we can find any profitable trading opportunities. In our previous analysis, we had suggested long positions for the aggressive traders in Bitcoin, but it did not move according to our expectation. It turned down from $10,770.23 on Feb. 24 and fell to a low of $9,502.25 yesterday, Feb. 25, but remained above our suggested stop loss of $9,400. The bears were not able to capitalize on the weakness and break below the critical support. Today, the bulls have seized the opportunity and have broken out of the downtrend line and the 20-day EMA, which is a bullish sign. They have one more major hurdle in the way of the 50-day SMA at $10,745. Once the price breaks out of the $10,745 to $10,770 resistance zone, it should move towards the resistance line of the descending channel at $11,500. There is no change to our recommended stop loss of $9,400, but if the traders find that the cryptocurrency is unable to break out of $10,700, they can raise the stops to breakeven. Let’s play it safe. The BTC/USD pair will be out of the woods once it clears the $12,200 mark. We also see an inverted head and shoulders pattern forming, which should complete in a few days. If this happens, it will indicate a change in trend and traders can expect higher levels. Our bullish view will be invalidated if the bears break down below $9,400 levels. Traders who follow us would have entered long positions in Ethereum around the $830 mark, as suggested in our previous analysis. Currently, the price is at the 20-day EMA, which may offer strong resistance. But we like the way the ETH/USD pair sustained above the $808 mark on the previous two days, Feb. 24 and Feb. 25, and did not challenge the lows formed on Feb. 22 and Feb. 23. This shows that demand is at higher levels. Once Ethereum breaks out of the 20-day EMA, it is likely to rally to the resistance line of the descending channel close to the $965 mark. We find an ascending triangle developing, which will complete on a breakout and close above the $1,000 levels. This is a bullish sign. Therefore, traders can book partial profits at $965 and trail the rest with a suitable stop loss to ride the next up move. But if the price breaks down to $780 levels, our bullish view will be proved wrong. We don’t find any buying interest in Bitcoin Cash at the moment. It is struggling to stay above the critical support level of $1,150. Any recovery attempt will face resistance at the 20-day EMA and the 50-day SMA. The BCH/USD pair will show first signs of strength once it stays above $1,600 levels. Currently, we don’t find any buy setup, and that’s why we don’t recommend any trade on it. The bulls have defended the $0.85 levels for the past five days. Ripple can now remain range bound between $0.85 and $1.22961 for the next few days. The next leg up will start once the XRP/USD pair breaks out of the range and the 50-day SMA at $1.23. Until then, price action will most likely remain range bound and volatile. We don’t find any buy setups inside the range; hence, no recommendation on trade so far. The bulls have hung on to the critical support zone of $0.32 to $0.35 for the past few days. But they have not been able to push prices higher. As a result, Stellar continues to languish near its recent lows. If the bears succeed in breaking down below $0.32, it may push the XLM/USD pair towards $0.22 levels. However, if the bulls assert their supremacy, a range bound trading between $0.32 to $0.47 is likely to ensue. We are not certain about the next price move; therefore, we have provided our view on both possibilities to the traders. We had recommended traders to build long positions on Litecoin close to the $200 mark with a target objective of $240 and $260. We assume traders would have entered long positions on Feb. 24. For the past four days, the LTC/USD pair has been facing stiff resistance at the trendline. Currently, $240 is a critical resistance level; we can see a move to $270 and higher from there. Traders can hold their positions and trail their stops higher to break even. We think it’s better to wait and not lose money on the trade. The target objective on the upside is a rally to $270 where 50 percent positions can be closed. Remaining positions can be carried with a trailing stop loss with a target objective of $300. Our bullish view will be invalidated if the cryptocurrency breaks below $175. We had suggested a short-term trade on Cardano in our previous analysis. Though the price broke out of 0.000033, yesterday, Feb. 25, it never reached our target objective of 0.00004070. It turned down from 0.00003520 levels. Traders can close their positions at the current levels with a marginal loss. The ADA/BTC pair continues to be weak as it is below both the 20-day EMA and the 50-day SMA. If the price breaks down of 0.00003033, it can slide to the next support level of 0.0000246. On the upside, the zone between the 20-day EMA and 0.00004070 is likely to act as stiff resistance. Today, NEO has broken out of a slew of resistances. It has also triggered our buy level, recommended in the previous analysis. Traders who have entered long positions on our suggestion can keep their stop loss at $105. A failure of a bearish pattern – a descending triangle pattern in this case – is a bullish sign. On the upside, $140 is critical resistance; the NEO/USD pair should quickly rally to $170 levels above this level. On the downside, the cryptocurrency might find support at $120 levels. EOS has held on to its critical support of $7.5 for the past five days. Though it had formed a bearish descending triangle pattern, it did not break down of it, and the price has reached the apex of the triangle. The pattern now stands invalidated. If the EOS/USD pair breaks out of the downtrend line and the 20-day EMA, it is likely to reach the 50-day SMA. We don’t find any reliable setups on it. Hence, we can’t recommend any trade on it. We’ll turn positive on it once it starts to trade above $11 levels. On February 14th, Bitcoin broke the 200-day EMA at $8,833 and closed above it at $9,480. It has since rallied to its current price of $10,180. Where it’s now testing resistance at the Kijun-Sen (blue squiggly line). There are two possibilities- price will either break above or fall below the Kijun-Sen. Since we don’t know what the market will do, it’s best to prepare for both scenarios. Bull case: If price breaks above $10,180 and remains sustainable for four hours, this confirms the break out and long positions with a stop-loss of $9,480 are recommended. Our first target will be a move to the lower red resistance line, which is currently at about $10,760. Above this we may see a move to about $11,645, the upper red resistance line. Bear case: If price is rejected at $10,180 and falls below $9,480, we may see a retest of the 200-day EMA, currently at about $8,833. Otherwise, price will consolidate until either case occurs. Benjamin is a life-long entrepreneur, the founder & creator of Crypto.Press and a crypto enthusiest since 2012. An informationist and dedicated to an automated future where fairness is not a gradient, but a trustless part of society he spends most of his time researching and developing a handful of projects on and offline. Like the article? Support the author! 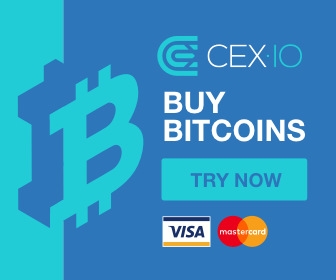 The post Bitcoin Analysis test page appeared first on Crypto.Press.